Dr. Kanika Tomalin is the current City Administrator/Deputy Mayor. She makes history as both the first woman and the first African-American Deputy Mayor in St. Pete. Also making history is the entire City Council. This year, St. Pete City Council has the first ever female majority in city history. These women include (from left to right) Gina Driscoll (District 6),Amy Foster (District 8), Lisa Wheeler-Bowman (District 7), Darden Rice (District 4), and Brandi Gabbard (District 2). 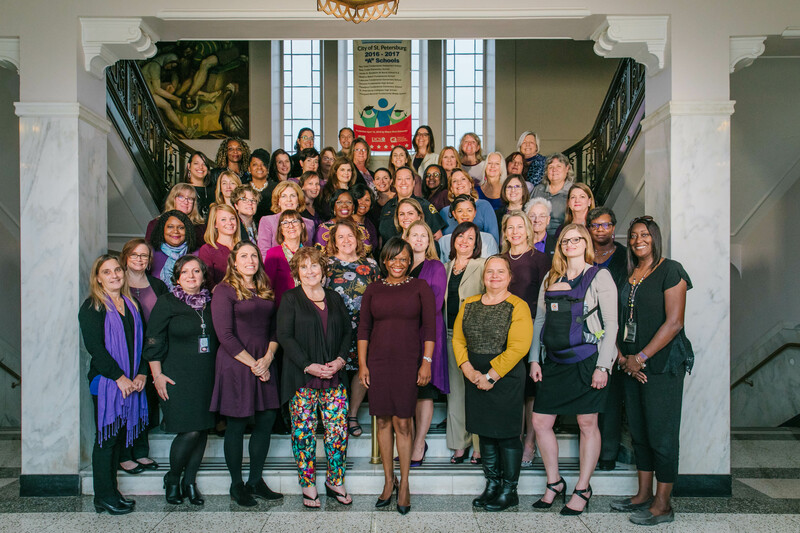 On top of rocking City Council, many of the high ranking leaders with the City of St. Petersburg are women, including City Attorney Jacqueline Kovilaritch, Director of Urban Affairs Nikki Gaskin-Capehart, Director of Sustainability & Resiliency Sharon Wright, Director of Education and Community Engagement Leah McRae and many more. These women are making progress and history right here in our city. If you want to learn more about your representative or any of these amazing women, head over to the City of St. Pete website or pop into a City Council meeting!